I love traditions. And one thing I really like about starting my own family is continuing the traditions that both our families have as well as creating new ones. My wonderful old roommate, Katie, introduced me to this recipe eight years ago, when we were first teaching. (It was both of our first “real” job out of college and we were teaching at the same middle school.) She brought it to a staff potluck, and told me not to judge the dessert by the name. I had to try it first before I could make any sort of comment. Skeptically, I said fine. I’ll give you that this dessert has a weird name, but it does not have a weird taste. 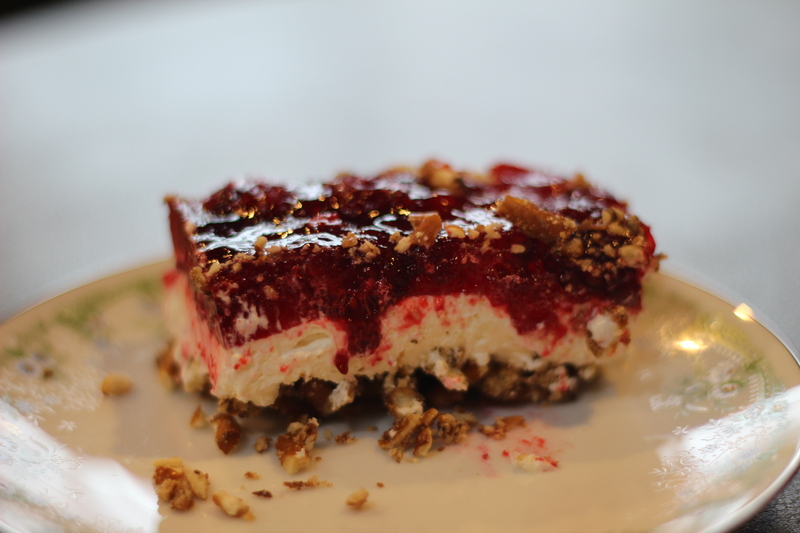 The saltiness of the pretzel crust combines nicely with the sweetness of a cream cheese middle layer and a raspberry Jello top layer. And you don’t have to be either a lover of salty things or sweet things to enjoy this dessert. It appeals to both sets of tastes. Thank you Katie, for making me try this dessert before forming an opinion. I would have never had one of my now, favorite desserts. 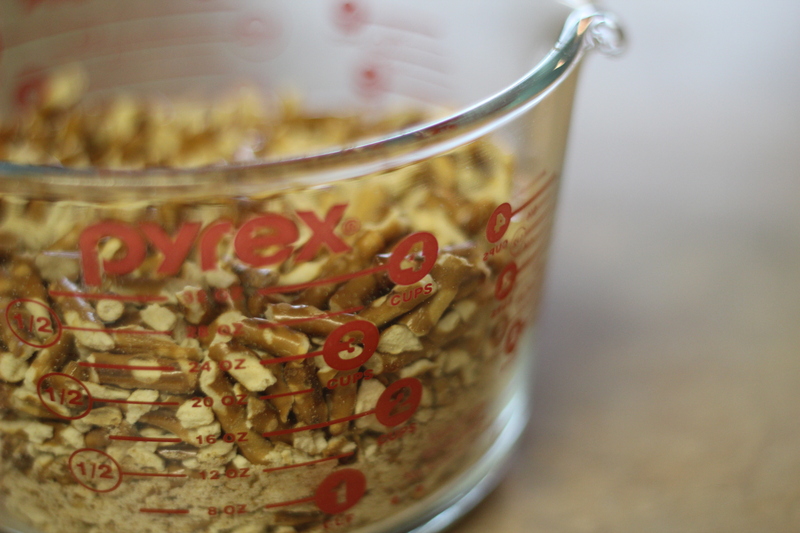 You need 3 cups of crushed pretzels. Melt 1 1/2 sticks of butter and dump the pretzels in the melted butter with some powdered sugar. 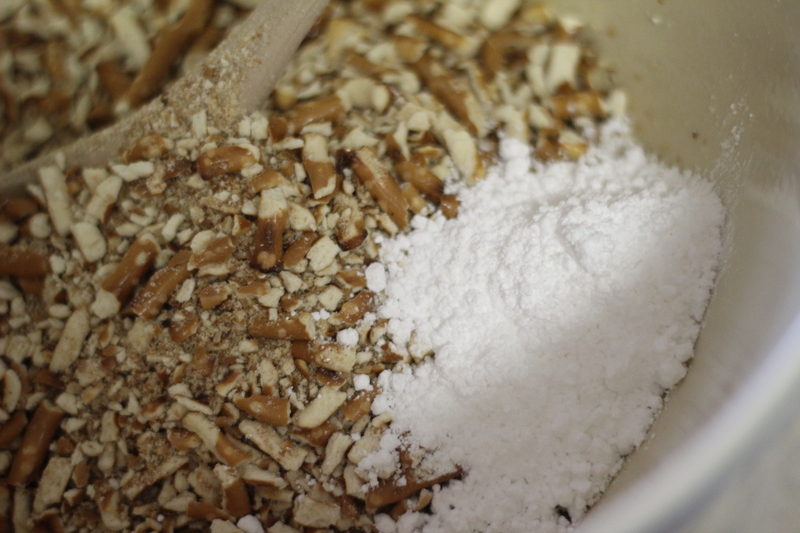 Mix until the pretzels are coated with the butter and powdered sugar. Press into a glass pan and bake for 10 minutes. Let it fully cool before going onto the next layer. To make the second layer, combine and egg, powdered sugar, and cream cheese. 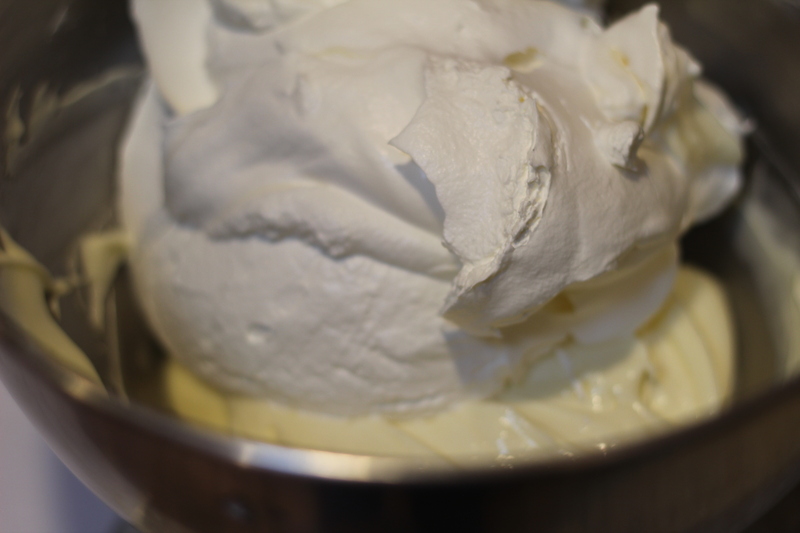 Fold in the Cool Whip and lemon juice. Pour over the cooled crust layer and then place in the fridge. Once the Jello layer is partially set, take the Jello mixture out of the freezer as well as the portion in the fridge. Pour the Jello mixture on top of the cream cheese mixture, smoothing the top and making sure it is evenly coated. Place in the fridge for an hour to fully set up. Once it is fully set up, cut up in squares and serve. Preheat the oven to 350 degrees. 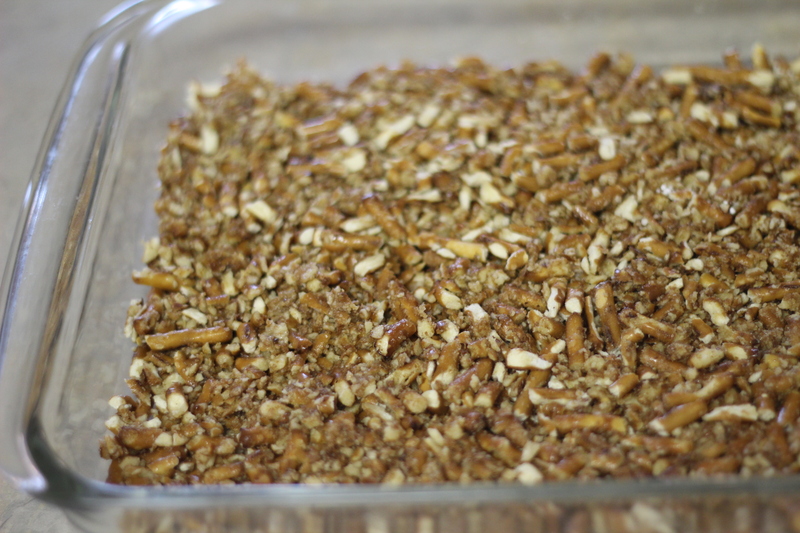 To make the crust, take a handful of pretzels and place in a Ziploc bag. 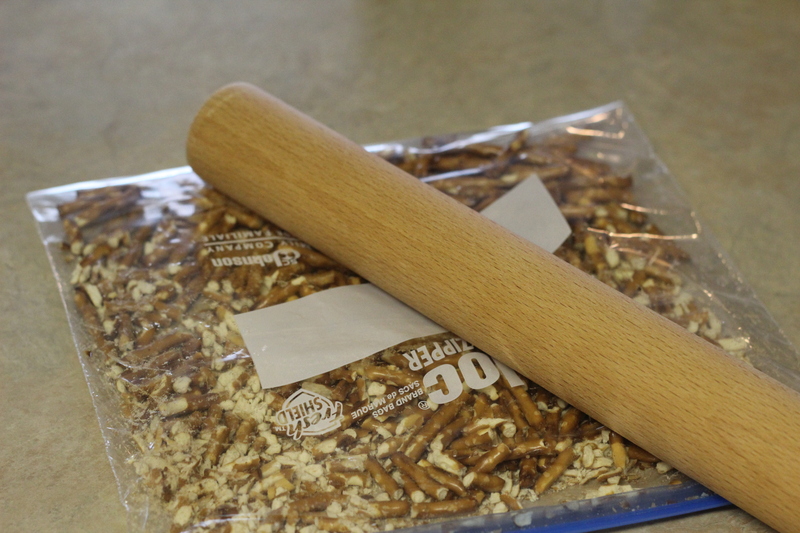 Using a rolling pin, or the back of a spoon, pound on the bag to break up the pretzels into small bits. 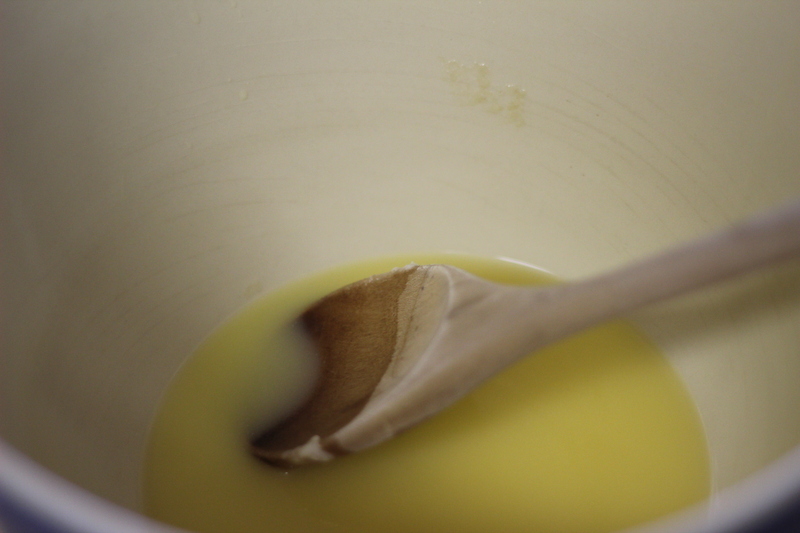 In a large bowl, melt the butter. Pour in the crushed pretzels and powdered sugar, fully coating the pretzels. Press into a 9 x 13-inch glass pan and bake for 10 minutes. Fully cool the crust before continuing onto the next layer. 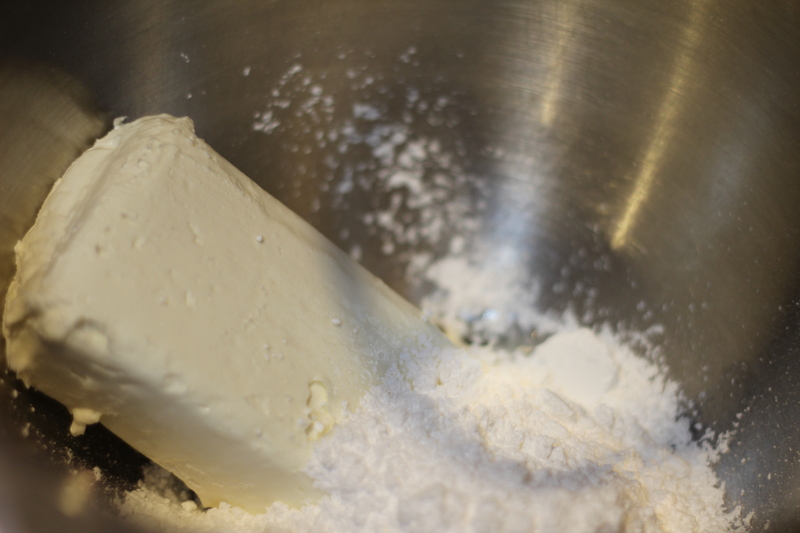 For the next layer, in a mixing bowl, mix the egg, powdered sugar, and cream cheese until fully combined and creamy. Fold in the Cool Whip. 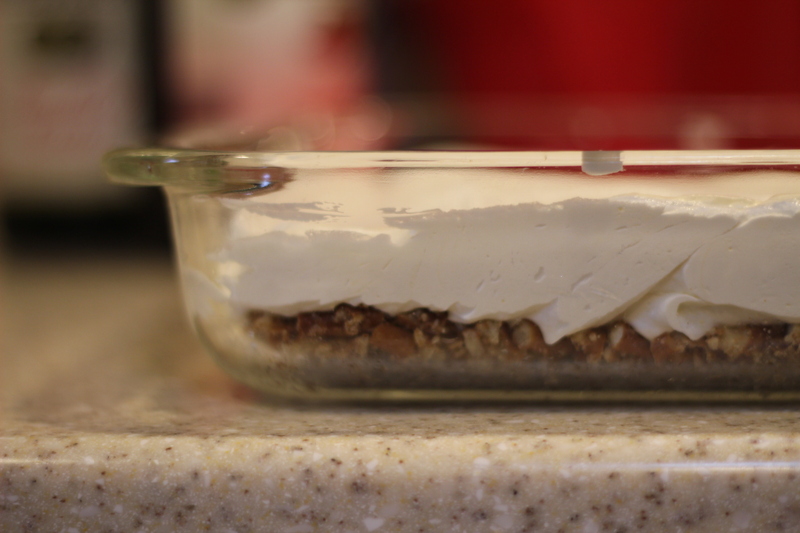 Layer evenly the cream cheese layer on the pretzel crust and place in the fridge while working on the third layer. In a separate bowl, combine the Jello and the boiling water. Mix until the Jello is dissolved. Add the frozen raspberries, mixing gently until the raspberries are evenly spaced in the bowl. Place in the freezer for about 10 minutes, checking halfway through. You want the top layer to partially set. When it is partially set, take the Jello mixture out of the freezer as well as the portion in the fridge. 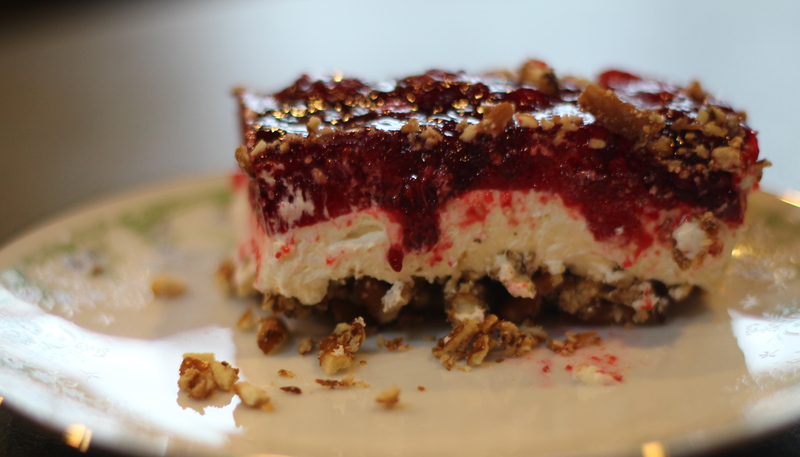 Pour the Jello mixture on top of the cream cheese mixture, smoothing the top and making sure it is evenly coated. Place in the fridge for an hour to fully set up. Once it is fully set up, cut up in squares and enjoy.